HomeWood Designer ForumPolyboardCan this be done with polyboard? Can this be done with polyboard? Thanks for posting and I wish you a great 2015 with lots success in all your projects. You shouldn’t have any problem setting up your project in Polyboard. The curves can be imported directly from AutoCad as DXF files and applied to the panels. 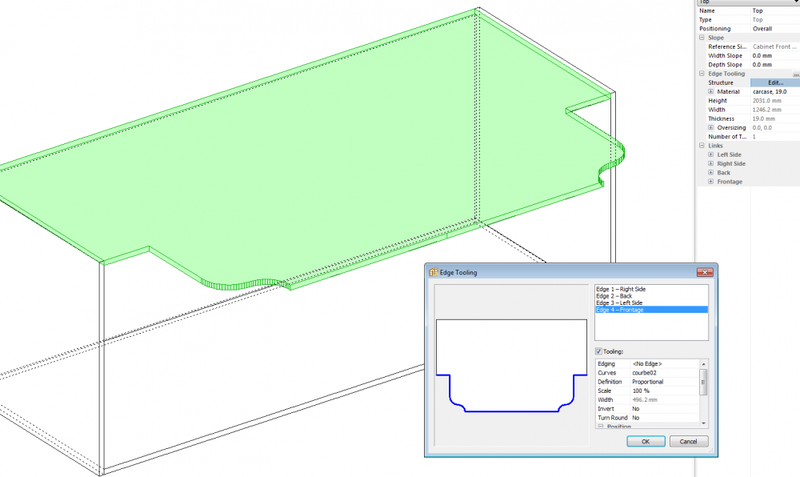 To do this use the Libraries>Open or Closed Curves options to import the DXF shape into Polyboard . Then use the appropriate “edges, angles or inner tooling” options to apply the shape to the panel. Your project will be easier to make as 2 cabinets assembled in “Project mode”. If you can send me the AutoCad file I’ll have a closer look as to the best way to set it up in Polyboard. Happy New Year! I am new to wood designer. I have this project I developed with Autocad 2D; but, I want to reproduce it in polyboard. I am having problems with the curves and the depression. I was just wondering if there’s anyway I can reproduce it exactly using polyboard. I have attached my project as a jpg file. Thanks a lot.